The Braj region or Brajbhoomi is in the Ganga-Yamuna and Upper Indus region, within the Delhi-Jaipur-Agra golden triangle region. 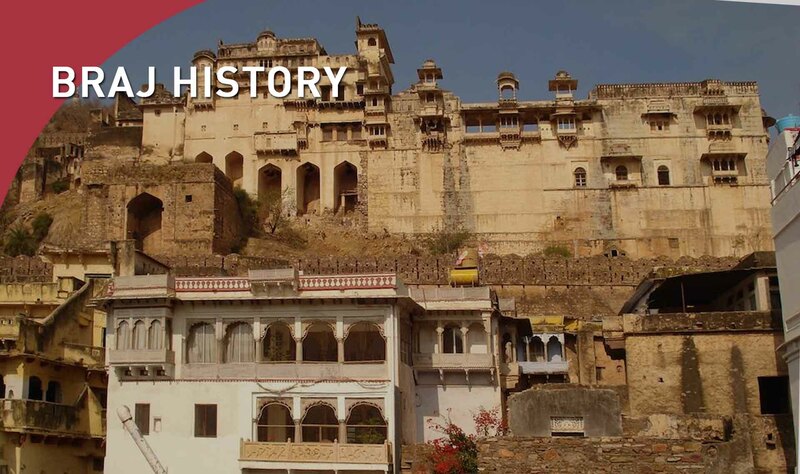 It has been an important sociocultural epicenter since the Aryavarta or the Madhya-desh period. Its vibrant culture and philosophy has significantly influenced Indian culture and consciousness through the ages. Braj is mentioned in the epic Mahabharata as the place where Krishna spent his childhood and adolescent years, and performed the raas-lila around the 1000 ancient water tanks or kunds, the sacred forests of the area, and the banks of the river Yamuna. The special dialect of the region is called Brajbhasha and it was the language of choice for the Bhakti movement, which reinterpreted Sanskrit religious texts in the language of the common man and emphasized devotion. The literature, poetry and songs of the region were composed in this language and feature the stories of Krishna and the Vaishnava tradition. The famous poets of the region include Amir Khusro, Surdas, and Kabir. The word Braj means pasture, and agriculture and animal farming have been the predominant occupations. It is famous for sweets and savories. Modern Braj economy is based on agro businesses, retail, ICT, and tourism.